Box with animal-flower-wayang pattern. Used for a bible. Made on Java. 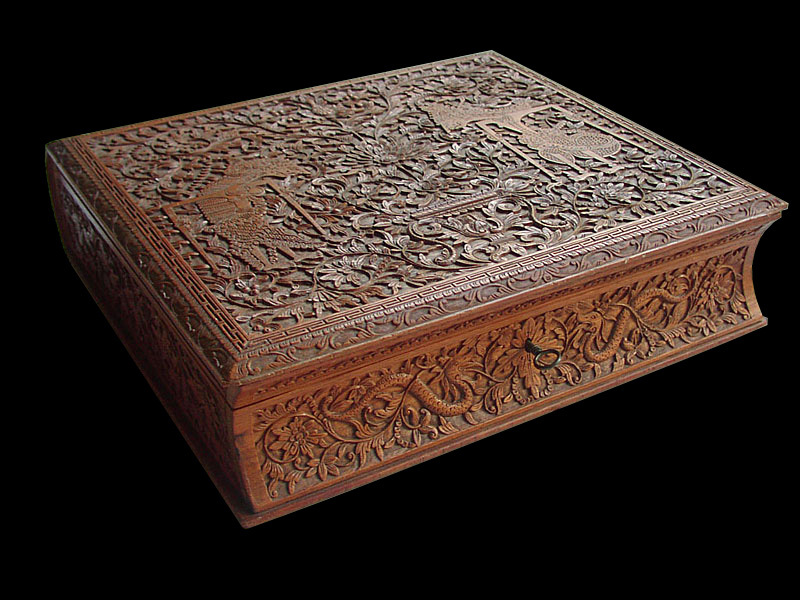 Beautifully carved wooden box. These boxes are called 'bible'boxes, because they have the shape of a large book, for example a bible. The woodcarving was done on Java, and is called 'jarapara'. The key is still there and te box can be closed and locked. Pls click on each photo to see two larger images.